A useful research tool for contour students has just launched, which I thought you might like to know about. 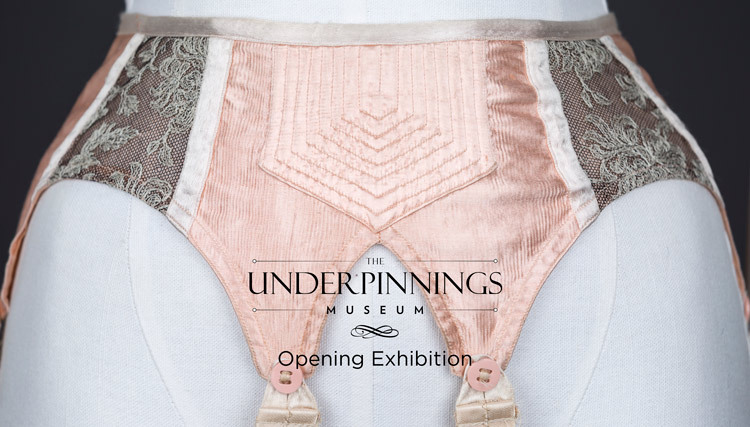 The Underpinnings Museum is a new online resource which aims to showcase and document exquisite objects, and is dedicated to the evolution of underwear through the ages. Whilst high profile exhibitions on the history of lingerie hit the headlines in Paris, New York, Sydney and now London, and brands seek to celebrate their heritage by looking to their archives for inspiration, lingerie lovers can struggle to find in depth information and analysis of garments. The Underpinnings Museum aims to satisfy this desire by offering free access to all, with high-quality photography capturing the garments in exquisite detail. Each object is accompanied by extensive technical and historical contextual information. The museum creates an invaluable community resource for lingerie lovers, fashion students, historians and home sewers, with permanent items and regular exhibitions offering an unparalleled depth of insight and fresh perspectives on the world of undergarments through the ages and across the globe. It’s an ongoing project too, constantly updating and expanding its collections. Beginning by documenting an extensive vintage collection dating between 1880-1960, the project will add crucial historical pieces to the archive and explore contemporary design controversies. The launch exhibition is made up of thirteen pieces that the museum’s director, Karolina, and I chose to show the breadth of her collection and give a brief glimpse into women’s underwear in the early twentieth century. Each was carefully photographed by Tigz Rice and offers a taster of what is to come. I’ll keep you all updated on the progress of documenting the collection and will let you know when the next exhibition goes live.